Well GoogleFridge let it slip that today is his birthday, so the whole team threw him a party! As soon as the sugar rush subsides we will try to post some pics of the festivities. Well... his first day at Palo Alto was pretty eventful. After the HR department cleared him to work here, we took him on a tour of our facility. We wasted no time putting him right to work! 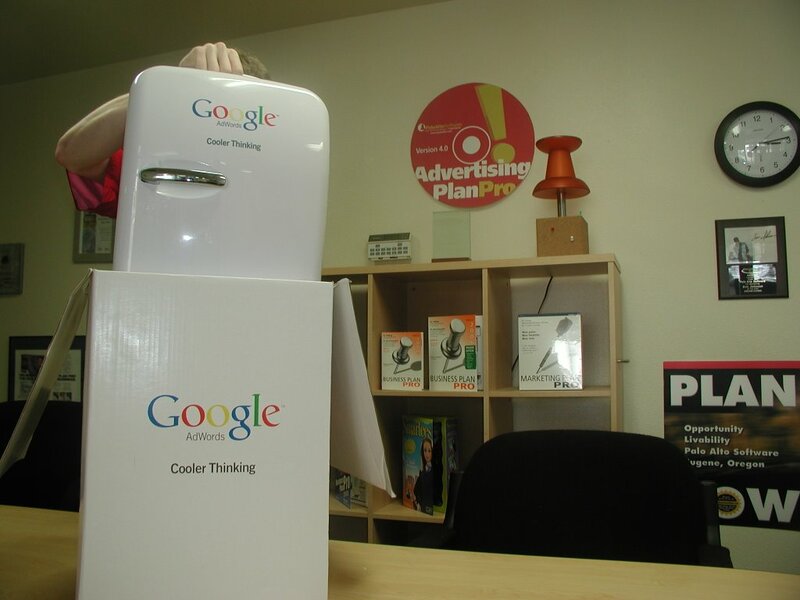 Well… needless to say we were very happy today to receive a nice little gift from our friends down at Google today… the Google Fridge (AKA: The Cooler). Actually it’s quite an honor to receive this newest addition to our development team. It was gifted to us because we hit our millionth PPC lead through AdWords. 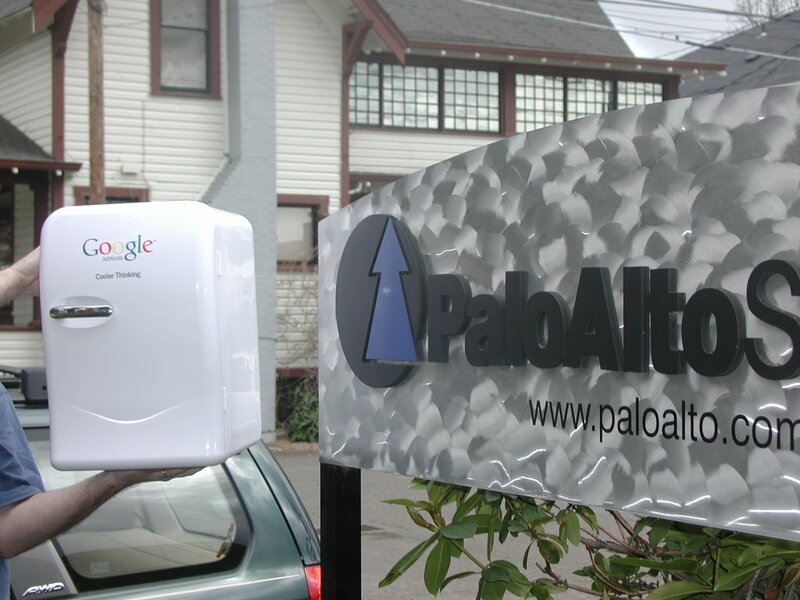 So… instead of just putting him in the corner with all the other appliances, we have embraced our newest team member with open arms and look forward to him being an active member of our staff here at Palo Alto Software! We were so excited about our new team member, we decided to dedicate this blog to the Google Fridge, so you all can enjoy in his journey with us here on our team. Please be advised, this will be an unedited look into the highs and lows of the Google Fridge as he joins us on our daily adventures here at Palo Alto. No holds barred… he seems pretty strong willed but should prove to be a valuable asset to the team!